With summer swiftly drawing to a close, we can’t help but delight in the possibilities a new season brings. To get us ready for autumn, we asked celebrity fashion stylist Elle Werlin and members of the Oribe Education Team for expert advice on transitioning into fall with great style. Read the tips below from Elle and Oribe Artistic Director Ronnie Stam, then scroll through the slideshow to see some of Elle’s favorite emerging trends from the fall runways accompanied by complementary hairstyles courtesy of our educators. 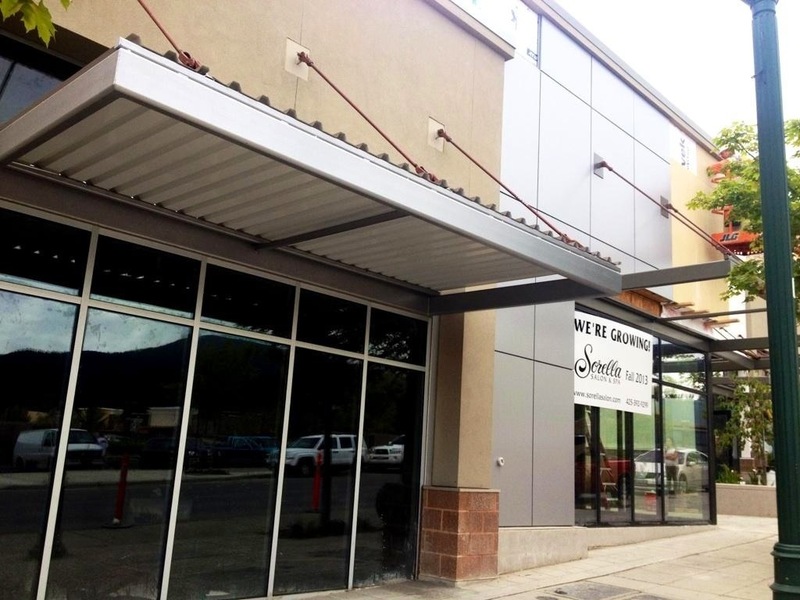 We have had a lot inquiries about our new Issaquah Highland store: where we are at in the build out, what it’s going to look like, how big it’s going to be, when are we going to open and what store are around us? When your parents asked you what you wanted to be when you “grow-up” I bet your answer was something extravagant and typically unrealistic. A doctor, a lawyer, astronauts & ballerina’s are all perfectly acceptable professions. I always had an answer like that, a lawyer most of my life, until I grew old enough to understand what ‘tuition’ meant. When my dreams of arguing for a living became real life, and I was nowhere near able to pursue that type of education, I turned to medicine. I never wanted to be a doctor or surgeon, I always knew those people were old and blood and guts were not as glamorous as I’d intended to be. Nursing became a real life option, a few years in community college taking math and science classes and then I’d obviously be immediately accepted into the nursing school of my choice. This quick and easy updo is the perfect way to impress all! 1. ANYTHING LEATHER. A jacket, skirt or pants. Anything leather makes a serious statement. 2. OXFORD SHOES. All the rave. Classy and trendy. 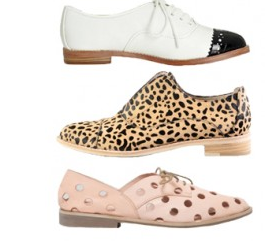 We especially love Oxford heels. 3. GLASSING, HALO, GLOSS. Dull summer hair is not okay. Easiest way for high shine is a 30-minute in-salon gloss treatment! 4. FROST MAKE-UP. Who doesn’t want to look like Barbie with frosty blue eyeshadow? Well, maybe not that intense but watch this trend pop up everywhere! 5. ANIMAL PRINT. Colored. Blue, pink, zebra, leopard print, oh so hot!